John Krasinski wants you to know that y’all ain’t ready for Mary Poppins Returns. The actor popped on over to The Ellen DeGeneres Show for an interview airing on Nov. 28, and in his talk with DeGeneres, he revealed just how good Mary Poppins Returns is and Emily Blunt’s performance in it. John Krasinski’s reaction to watching Emily Blunt in Mary Poppins 2 was exactly how I react to most things that bring me joy: sob uncontrollably. 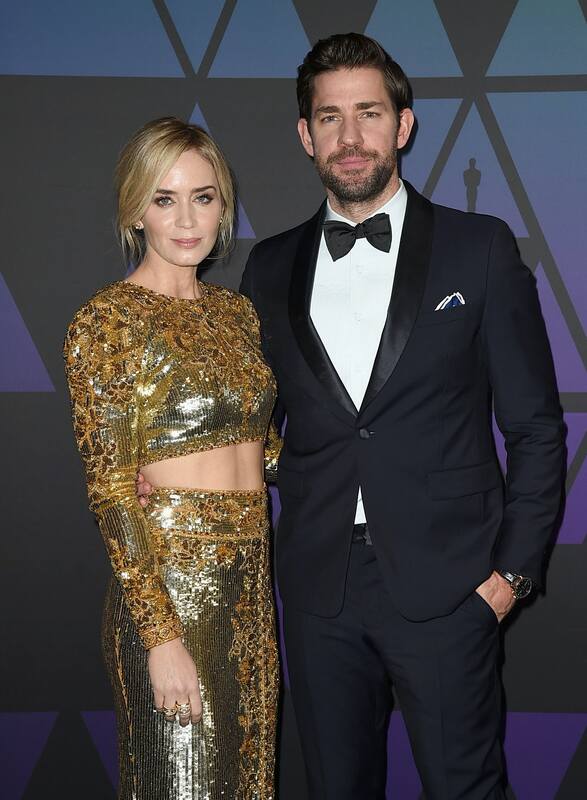 Krasinski told DeGeneres that they had the chance to screen the movie for his and Blunt’s family over the Thanksgiving holiday. That was his second time seeing the film, and he then dished about what happened the first time he saw his wife play the iconic character. “The first time I saw it, they give you a tissue box in the screening room, and I thought, ‘Oh, that’s very nice. I don’t have a cold,’” Krasinski joked to DeGeneres. “And they started screening the movie and 25 minutes into the movie, I stood up and went to the back of the room.” Nope, he didn’t have to pee or anything. He just really needed more tissues. “Emily said, ‘Do you not like it? I’ve never seen this happen?’” he went on. “I was pushing through all of the muffins and bagels that were in the back looking for napkins. I was like, ‘I need anything to stop this crying!’ I was crying so much I blew through the tissue box in 20 minutes, had to go to the napkins, and then when I ran out of napkins it was all sweater.” I’d say that John Krasinski overflowing with joy only 20 minutes into watching the movie is a pretty good review. Give me all the joy!! While Mary Poppins doesn’t actually return to the silver screen until Dec. 19, Disney recently released a sneak peak to some of the film’s new music in the form of the “Trip A Little Light Fantastic” audio. Lin-Manuel Miranda performs the song, which is apparently the very first song in the film. And yeah, can confirm it sounds heckin’ joyous!! I’m honestly impressed it took Krasinski a full 20 minutes to need more tissues. I don’t think I’m going to make it through the title credits. And I’m definitely going to cry when Meryl Streep appears. That’s just the effect Meryl has on me. Another fun thing Krasinski’s interview with DeGeneres revealed is that he’s currently working on writing the sequel to A Quiet Place! He said that originally, when the sequel was green-lit, Krasinski was trying to find someone else to write it because he only had one small idea for the plot. After fleshing out his small idea a little more, he realized it was the way to go for the sequel, so now he’s writing it. He most likely won’t be acting in the sequel because — spoiler alert — his character died in the first one, but here’s hoping he directs it again so we can have a second Blunt/Krasinski collab.